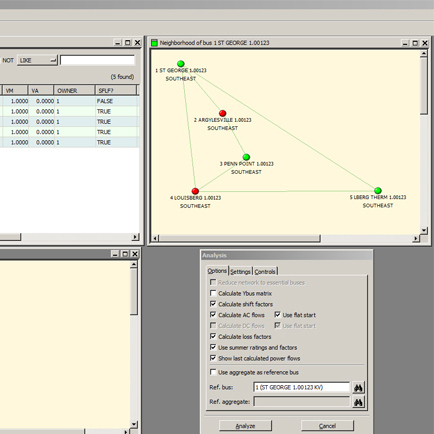 TRANZER is used to view, edit, and create Power Flow Data (PFD) stored in a backend Access database that represents an electric transmission system together with the additional network elements required for various physical and economic analyses. This additional data includes specifications for generation units and aggregate buses (zones and hubs) as well as phase angle regulators (PARs), AC and DC transmission lines, interfaces, and contingency constraints for analyzing the impact of the loss of system elements. TRANZER can also be used to analyze the transmission system, specifically calculating shift factors, loss factors, and power flows from a DC or AC perspective.